In another blow to its digital voice assistant, Microsoft will remove the Cortana feature in Skype, while adding new integration for Amazon’s rival voice assistant, Alexa. Microsoft added a Cortana bot to Skype, its VoIP (Voice over IP) messaging app, in 2017. It allowed Skype users to chat to Cortana, and the virtual assistant could also monitor your chats and add events, meetings and more to your calendar as you chatted to your contacts. However, it appears that Microsoft has conceded that Cortana isn’t as popular as Alexa – despite Microsoft heavily integrating Cortana into Windows 10. 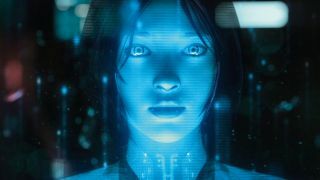 Skype users who use the Cortana bot are getting notifications telling them that the Cortana bot will be removed on April 30, 2019. It appears they are also getting another message that asks them to check out the new Alexa integration, which was added late last year. One such user, Florian Beaubois, has shared on Twitter the notifications, along with the process for adding Alexa to Skype. According to the screenshots Beaubois posted, you’ll need to install the Alexa app, then connect it to your Skype account. After that, you can ask Alexa to call your contacts on Skype. To encourage people to switch to Alexa, Microsoft is also offering 200 free Skype minutes when you link your Skype and Amazon account. It might seem a bit odd to see Microsoft so eager to convince its customers to move to a rival voice assistant, but the company seems to have accepted the fact that Cortana will never match Alexa’s popularity. Microsoft probably weighed up the pros and cons of continuing to force its unloved assistant on its users versus bringing integration to the more popular Alexa, which many people will already be using. In our view, this is the right move. It doesn’t necessarily mean that Microsoft is giving up on Cortana completely, but with news that Windows 10 will separate Cortana from the search box on the taskbar, where it used to reside, there is a feeling that Microsoft could be losing faith in its assistant.